Because we are always out of time, bumping into a game like this, which you can complete in less than an hour, is sometimes exactly what I need. This is one of the main reasons why I like indie games: They require a shorter commitment. Although the length is not the only thing that is important here. Nostalgia is also a powerful weapon. It makes us connect with the work at a much more personal level, and it transfers pleasant feelings from a past time where we have, luckily, brought with us a handful good things. Of course it doesn’t work for everyone. It needs something in that past to link to, and here it has a lot to do with the particular generation you grew up in. Too much exploitation doesn’t help either: nowadays we find ourselves with the crescent feeling that there are too many products using eighties related themes being made. It doesn’t take much more than having a look to our DDD to notice it. Some call it «zeitgeist», but it is 35 years from the 80s and at this age we start missing our childhood. That lack of responsibility and that amazement with the world we were starting to discover is sometimes the only shelter against our personal everyday dramas. 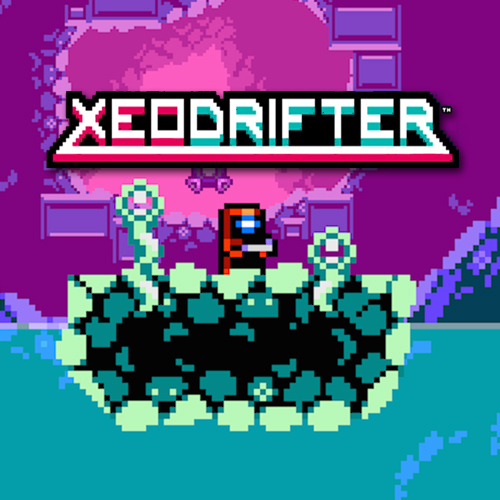 The truth is Xeodrifter doesn’t have an 80s based theme. However, it’s design and art do exhale the 80s and that Big Bang of games many of us were lucky to live through first hand. Whether is GameBoy, NES, or arcade machines our reference from that time, the simplicity of the big pixels, the three or four button controls and the only goal of reaching the farthest possible level before dying, discovering the game bit by bit complete the identity of our childhood’s games. Despite all the developers bringing that back to the present, it still serves very well as antidote against the overcomplicated interfaces and mechanics of the high end games. Sometimes is good to simplify. The developers of this game, Renegade Kid, haven’t been seen a lot – to say the least – in indieorama, probably because their affinity to Nintendo’s portables, which sadly we don’t use much around here. Despite their small amount of workers, not superior to three in most of their projects, Renegade Kid has a quite long and interesting background. Surely those Nintendo DS owners bumped into their first project, Dementium: The Ward (2007). This first person survival horror game was indeed a visual and playable marvel at the time, reusing the control scheme from Metroid Prime Hunters (Nintendo, 2006) to implement an FPS using the stylus as a weapon. 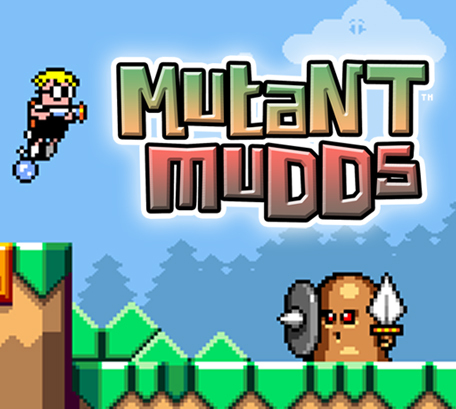 But they are probably more known thanks to their best success: Mutant Mudds (2012), a 2D pixel platformer game that had a great reception on Nintendo 3DS and a very unfortunate catastrophe on Steam. Founder and creative director of Renegade Kid, Jools Watsham, relates in Gamasutra the difficulties of publishing the game in Steam, after being rejected, short before Greenlight was a reality. And not being given, as was usual at the time, any feedback about it whatsoever. The democratization of the publishing process didn’t help a lot either, as the game got stuck for almost a year without the approval of the community. We were finally able to see the game in the virtual shelves of the Steam store in November, 2013. As Watsham himself relates in Xeodrifter’s post mortem, again in Gamasutra, >Mutant Mudds was the first game Renegade Kid developed ignoring market trends, just because they felt like it. This happened again with Xeodrifter. That is, indeed, a never ending dilemma in this industry – and in almost any creative industry. After the company went through an unsuccessful KickStarter campaign, they needed to publish something in 2014 urgently to stay alive and be able to finish the development of Treasurenauts, an ambitious platformer for Nintendo 3DS. And after a failed prototype, the idea of Xeodrifter came to their minds based on a mock-up previously done by Watsham and taking advantage on the technology developed for Mutant Mudds and all the experience gathered in platforming games. 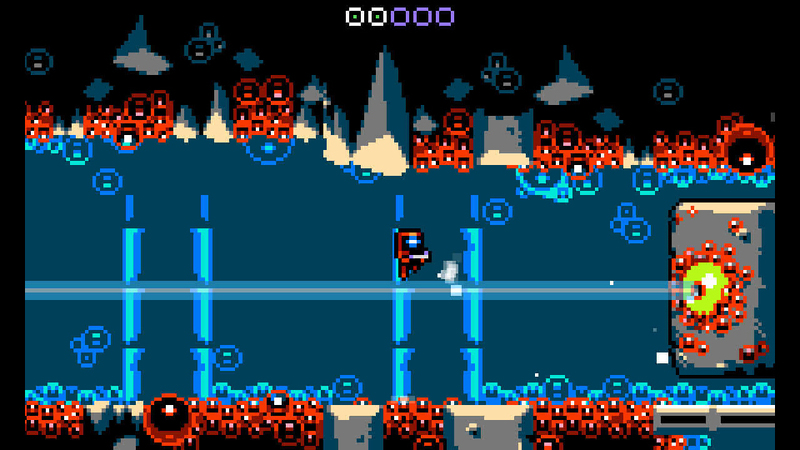 At first designed to be developed just in three months by a two person team, Xeodrifter takes the genre and the playing style of Metroid again to give shape to what would be – in it’s own creator words – a demake of another Renegade Kid’s game: Moon Chronicles (2014). Everything seem to fit in place: A tribute to one of their favourite games, short scoped and in the genre they had the most tools for. Only with Matthew Gambrell’s programming and Watsham’s design and art, the development took five months to be finished, instead of the first planned three months, something pretty usual in this industry too. Luckily for everyone Renegade Kid was able to bear with the delay and launch the game at the end of 2014 in Nintendo 3DS and shortly after in Steam and PlayStation 4. That has allowed them to keep going forward and finish Mutand Mudds Super Challenge and Dementium’s remake in Nintendo 3DS, to be able to continue Treasurenaut’s development, which we are expecting some announcement soon.